500 years ago, Chen Xi was devoured by a crack in the void and was transported into a cultivation world. In this life, not fighting to be a king nor claiming to be a tyrant, only praying to peacefully be a wife-pampering mad devil and a child-protecting daddy! Damn cute. Read the raws to recent, fairly simple story. Super OP doting parent. The children are believable; wife story is nice as well. He srs OP, despite broken soul, or whatnot. There is a small misunderstanding at some point, as to why he disappeared, which the MC takes literally 1 sentence to clear up. He shows her his 500 years worth of memories. The mother's reason for leaving is believable as well. She is from a cultivator family whose, dumb as usual, rules prevent her from having a kid, hence asking auntie Zheng to take care of her daughter. Don't let all negative reviews sway you, This is the kind of novel that gets better the deeper you go!! A strong immortal manages to break through the boundaries of space and get back to earth so that he could reunite with his family, he lost most of his powers due to injuries during his space/time travel but he is still OP considering the level of earth. After finding that he has a kid he decides to be a good dad while looking for his wife. He finds her and the family comes together. His wife turns out to be of Martial artists family. He later discover that the martial artists on earth are not weak as he thought which would lead to some exciting battles. This story later changes to an OP man who tries to lead a fulfilling life with his family while sometimes dealing with those martial artists who does not know how high the heaven is !! This is half xianxia-half family novel. If one want to read this good novel, one must keep in mind that the writer writes this novel for the Chinese people, not the tantrum English readers. The novel starts with the high cultivation base immortal comes back Earth. He was originally sent across-the-universe immortal world by some accident. So when he comes back forcefully, he have to pay the dear price. Although he is not dead and the base remains, it's heavily injured, and most of his power could not be used.... more>> That's fine else he would be Omnipotent Father to people of the Earth instead of a half superman papa to his girl. As the Earth is at the pit of the buttom of cultivation environment, his remained power is the highest. He doesn't use it for personal benefit except for caring his girl in the current Chinese culture. Love this Chinese Genre, or leave this novel. The story is in the nowadays world with a very small fighting. You may need "parent attitude" to enjoy the story. There is up and down. Family raising is not easy. You have holy honey moment and scumbag mood. Author tries his best to transform the day-after-day of boring repeatitive household works and child caring into Novel. He successes at 4/5 stars. 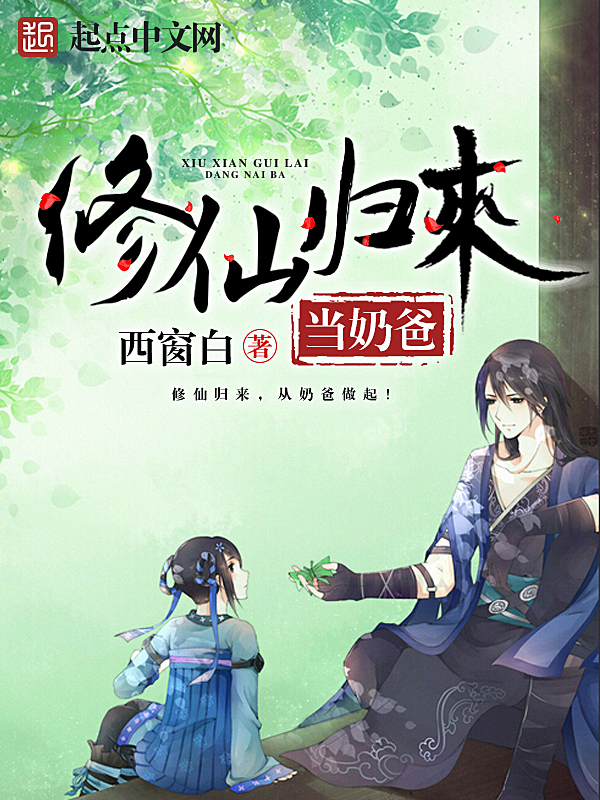 Do not read this novel if you are bothing but hot head teenage who want actions and kill-kill-kill xianxia. Did I say this novel is slow? It's previously slow. But now it's almost halt. The story flow is almost stagnant and reversing in some sense. Boring starts to accumulateand expand. In some chapters, the plot goes nowhere; as the author tries to show his psychology knowledge, and fail. More, he tries hard to describe, explain, compare the situations, the thoughts, the world, the situation, the pebble and the sand; All details in every facets. Slowly transform the novel into classroom textbook. He also changes the MC from the cultivation genius into country bumpin boy who accidently wins billion $$ lottery. Rich but still no-brain bumpkin boy. He's cultivation genius who becomes super rich (in cultivation). But still want his girl to be the next bumpkin girl because she is good Chinese Earth people, so should learn how to be good Chines Earth girl, not the Holy Fairy Maiden of the myriad realms. Because he thinks being the happy girl of Earth as same as other billions of country bumpkin girls is good for her. Well, what to say, garbage? Revolting trash that makes me cringe as soon as I see it? This MC is the embodiment of what makes japanese MCs (although he's chinese) so damn pathetic most of the time, like just wanting to go home all the freaking time despite having so many chances and succeeding well in another world. Now, he can't even stop bitching about it after 500 years and never stopped trying to find a way home. Given, this was the idea of this novel, an OP cultivator in a... more>> modern day world even though it would've been more interesting and with far less racism if it was the story of an immortal at the peak of a cultivation world with a child instead. He's also an emotional wreck with way too much need for familial love, which you'll notice quickly. 1: A love for modern day stuff and a modern day world. 2: Huge tolerance against racism and other sh*t like that. 3: Either you need to be a father yourself or you need to have that "father" attitude and like children. 4: A weird sense of humor, because the humor in this novel is subpar to say the least. 5: A preference towards MCs who are overzealous with their love. 6: Not minding a MC who isn't using his powers properly, that is, exploiting them whenever he can for his own good. 7: Not minding a MC who clearly haven't matured/toughened up at all after 500 years. Hell, the 500 year period is unnecessary, it's there just to give the MC some basic martial arts powers. He's the same as he was when he got over there, which is bullsh*t. The author should've went with a wuxia theme instead or something with a MC that trained to the peak on earth and then went back to his family after a few years, this would've been WAY more realistic and interesting since there's essentially no real difference since the 500 years serves no purpose and the cultivation doesn't matter much either. First of all this one had a lot of potential. But it truly turns into sh*t after the first few chapter. Yes as most of the review says this is cute but only when the author doesnt know any interesting sh*t he will use it. The author himself forgets what the title of this novel is. This not a action novel thats what the title says but it litarely is one whole action novel. The cuteness only comes to make people not get bored. The chapters had litle to nothing in story progress.... more>> Most of them are only information of some type or some random bulsh*t poem or whatever sh*t he writes to make the chapter long. And most of all I dont know if only I ferl it but the author says it more than one time that to the MC the 20 year in the planet earth was more contributing to him than 500 year on the cultivation world. I mean what was he talking about. 20 year may have formed his personality but 500 year wasnt enough to change a little bit of it?. The 500 year is more like a plot armour if it contributes to nothing. The thing that more than anything makes me hate in this novel is MC not having his divine sense. It would be ok if he just forgets it but the author reminds the readers on every single arc about how the MC doesnt have his divine sense. And one thing that makes it more is that the author belives divine sense injury cant be fixed with out external help. On more than one novel its mentioend tgat if divine sense is injured it can be fixed with time and practice and our author just dont belive in that. He belive it can only be fixed with some pill thats not on earth. Sinse its easy with that kind of plot armour. So damn friggin cute. An overall relaxing story about the return of a father and his reunion with his wife and adventures with their daughter. Although there is some discrimination against certain races around the later chapters the author does explain this in an understandable way while acknowledging that they may or may not have some positive properties too. In my opinion, this adds to the story instead of detracts from it, as the way the author does it adds depth to characters, unlike some other writers who are overly discriminatory... more>> (and no, I am not Chinese). Kawaii, it's the only thing I can say for this novel.